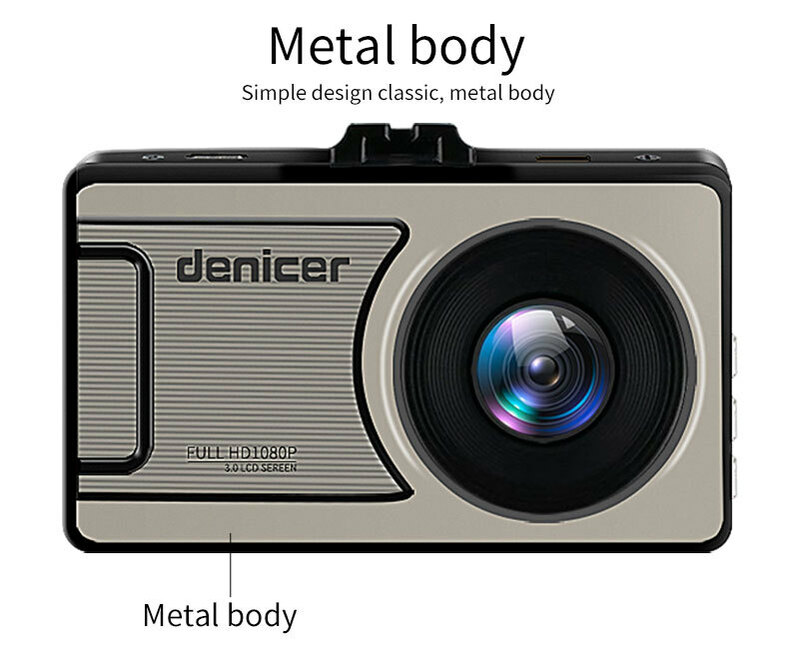 Luxury metal shell dash camera, never afraid broken when falling down. 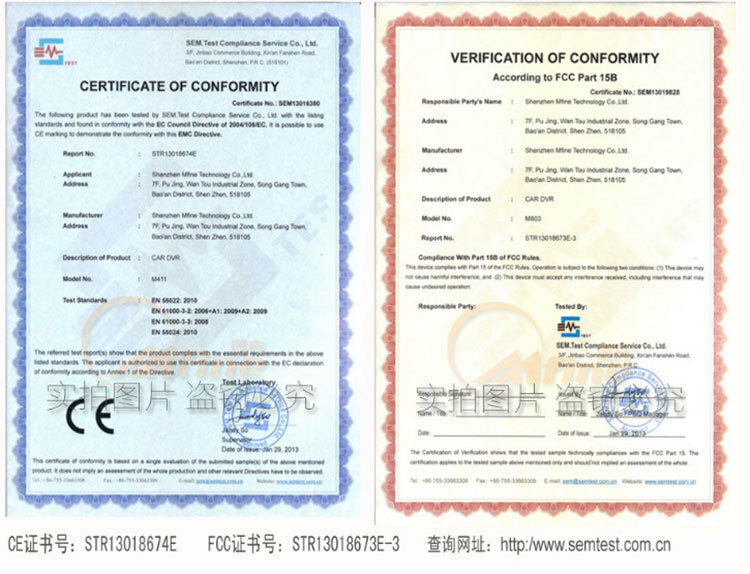 it has good performance of heat dissipation, anti-collision and explosion-proof. 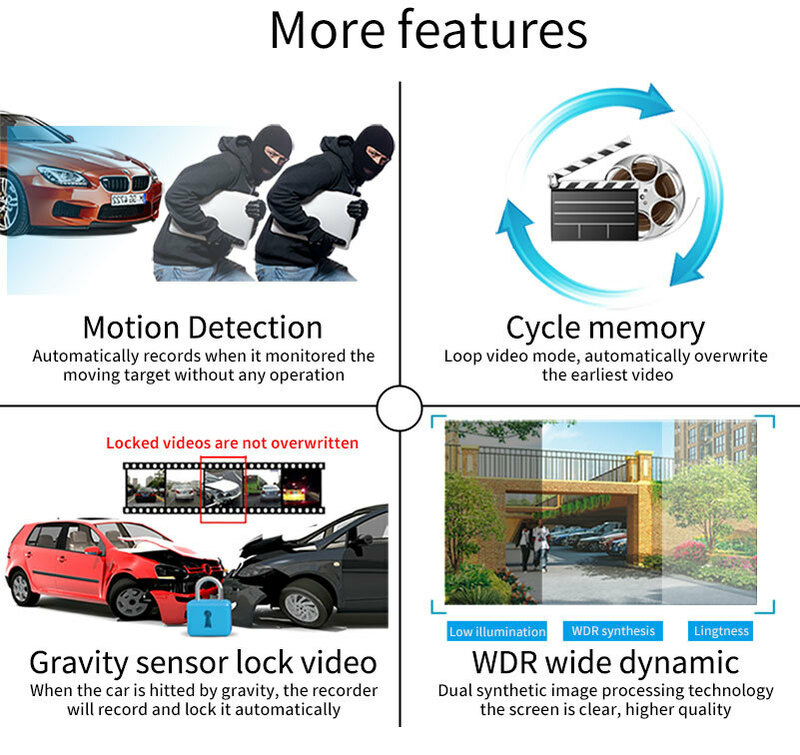 Multi-function: This car dvr is very powerful, Loop recording, G-sensor, Motion detection, Parking monitor and playback derectly. 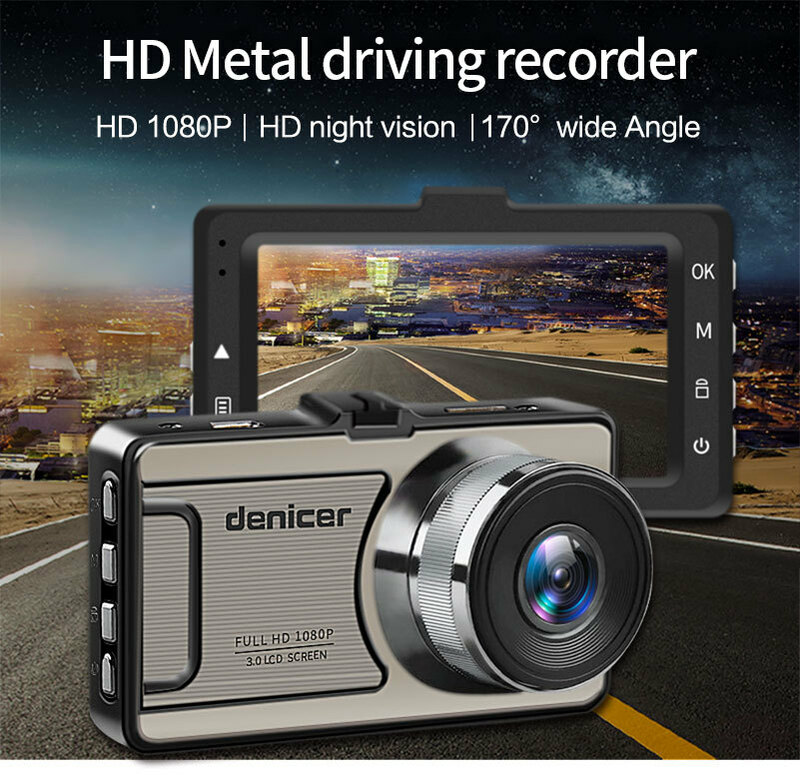 Car dvr camera Ultra HD Resolution:Uses 6 layers sharp lenses, this dashcam captures 1080p footage, delivers stunning image quality, clear video evidence potentially critical in an insurance claim, making your life easier and safer. 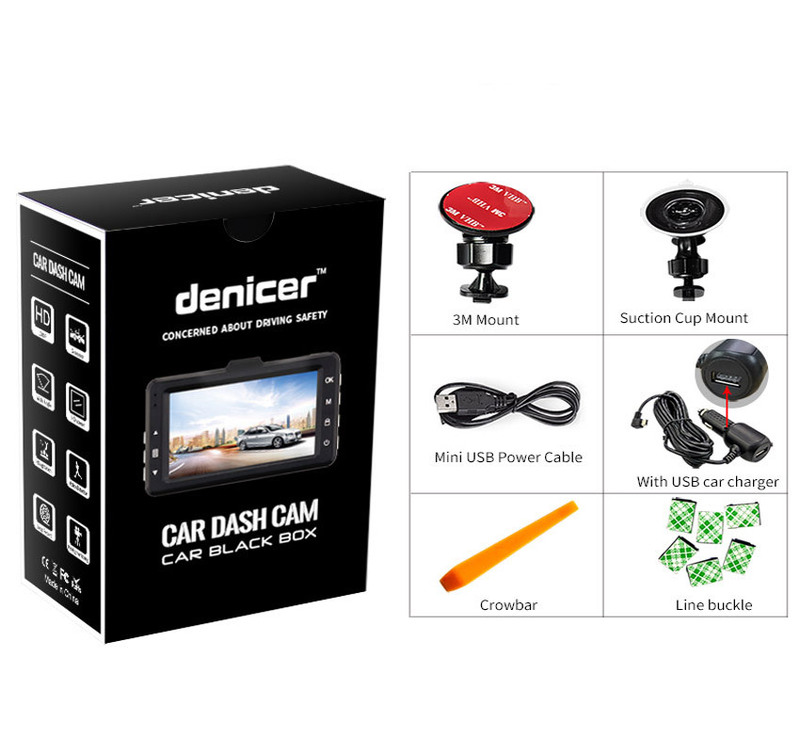 The car dvr easy to setup,simply mount it to windshield, connect the power cable, the car camcorder will automatically record whilst driving. 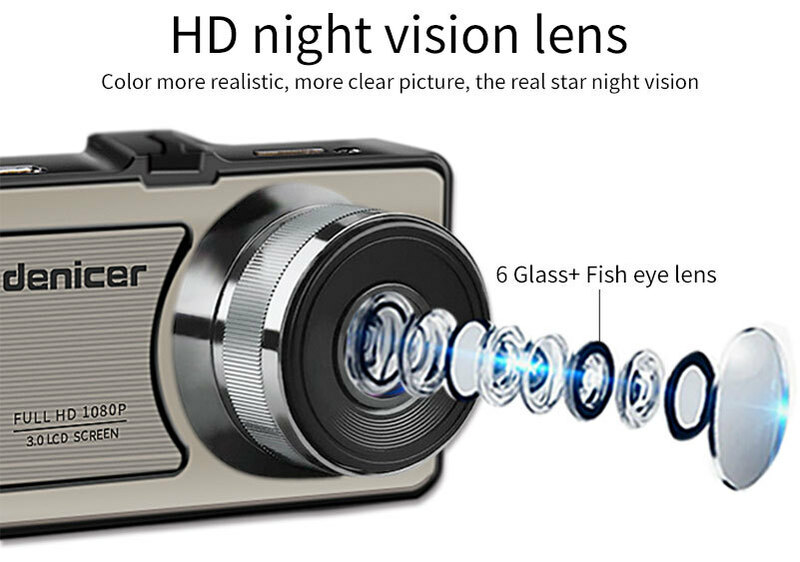 Car dash camera Ultra clear 3.0″ LCD display for ease of instant playback and menu selection. 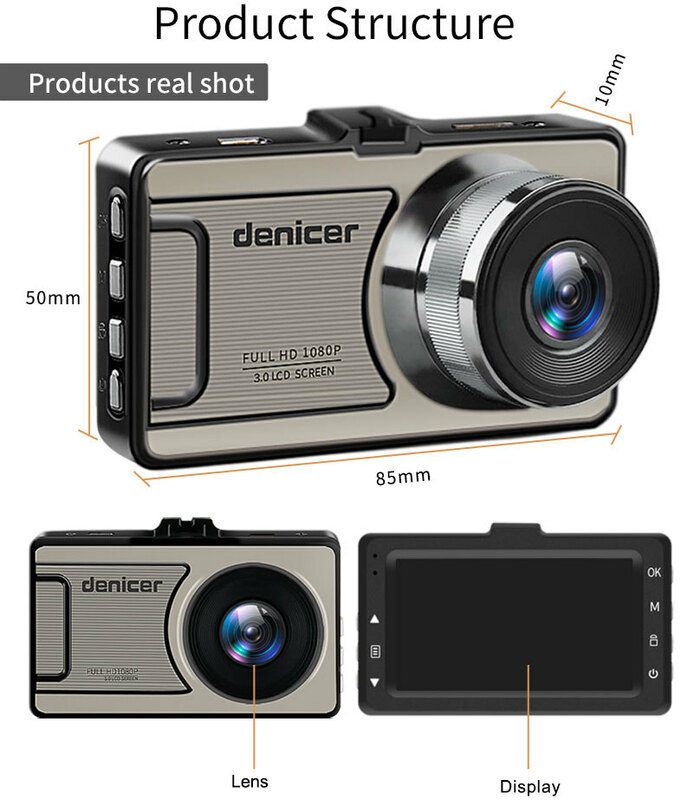 This car dvr camera Designed with superior chipset, the car dvr recorder has stable performance. 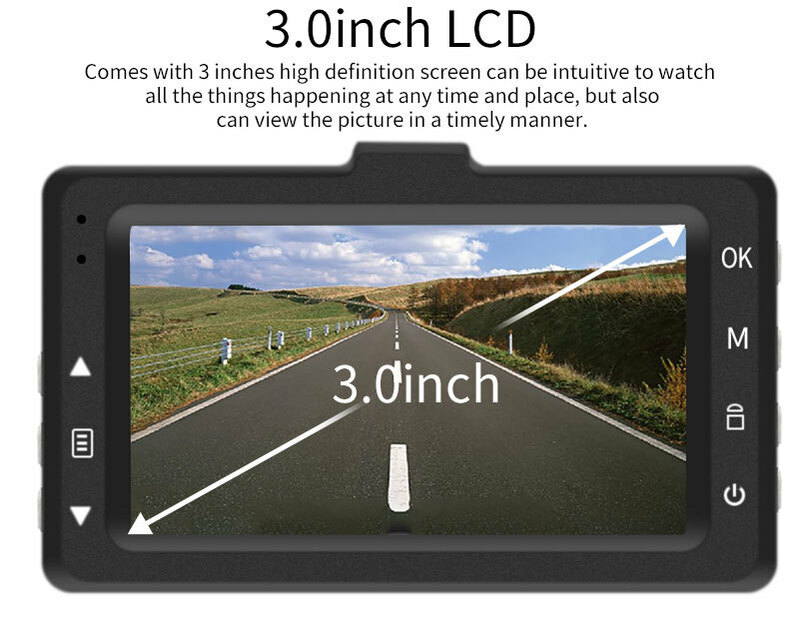 Comes with 3 inches high definition screen can be intuitive to watch all the things happening at any time and place. but also can view the picture in a timely manner. Do you still worry about the phone without electricity? Note: 1.Whatever SD card is empty or not,you must format the card at the first time in car dvr camera MENU settings instead of formatting it on computer,after formatting you can start the car dash camera to do recording. 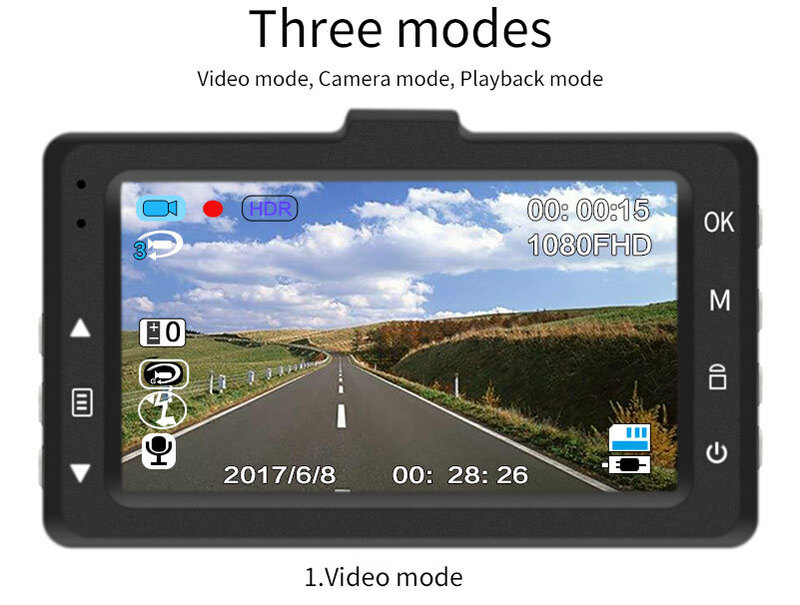 2.Please check if your memory card is original brand high speed Class 10 memory card, if you use some copy card like Class 4 or Class 6, car dash cam will indicate SD card full because it is not compatible. Q: Why my car dvr camera indicate “SD card Full”? 2) Please check your car dash camera MENU settings if you have open on Loop Recording this function already ? You must open Loop Recording this function the previous video can be overwrite. 3) Please check your car dash cam MENU settings if you have turn off G-Sensor this function already at the same time? If G-Sensor is on, the file will be protected that can not be overwrite, so the SD card will be full. 4) You must format to clear up your memory card file by hand at least 2~3 times within a month ,because the memory card inside in the dash cam,it will have some locked file that happen while driving at some emergency time, but this locked files can not be overwrite automatically. You must delete them by hand. Q: Why my car dvr camera record only around 10 seconds ? A: Please check if you have turn on Motion Detect this function already ? If Motion detect is on in video mode, once no movement in front, the dash cam will pause recording after 10s. 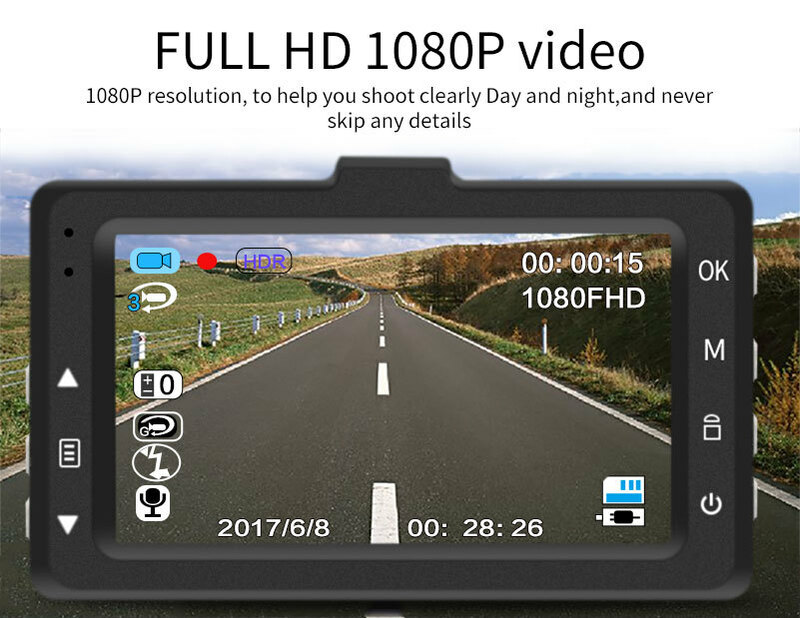 Once any movement in front dash camera again, this function can make car dash camera detect this motion then continue recording again. 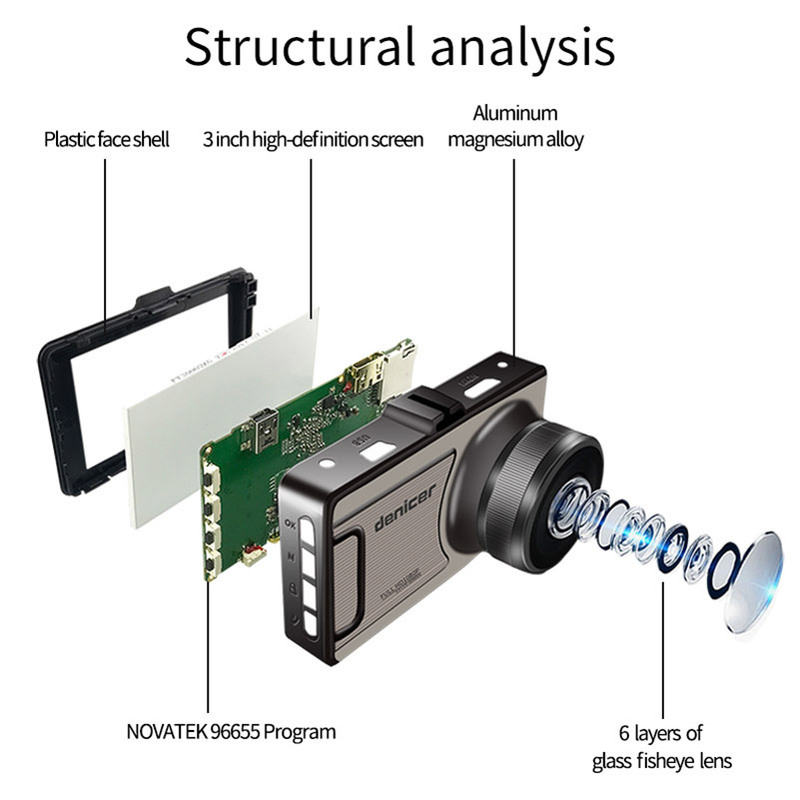 Q: How dose my car dvr camera can recording at night ? A: When you receive your dvr camera, please check at first if your car dvr camera have night vision IR light or LED fill light, if have please open on this light then can make night vision recording more well. If can turn on car light to recording that will be more better. 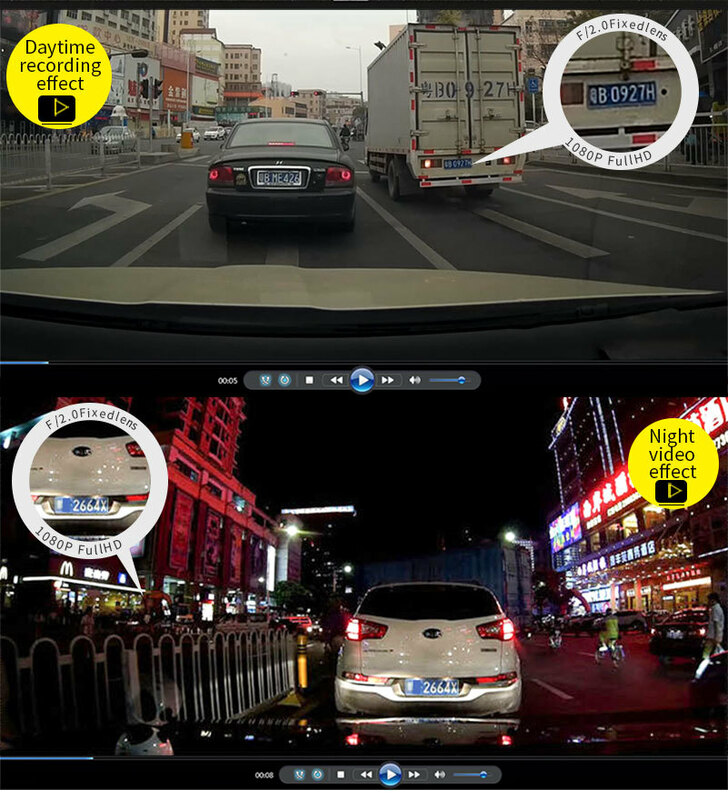 If your dash cam dose not have any IR or LED fill light, you have to open your car light while do recording at night, unless car dvr can not do recording at night well. 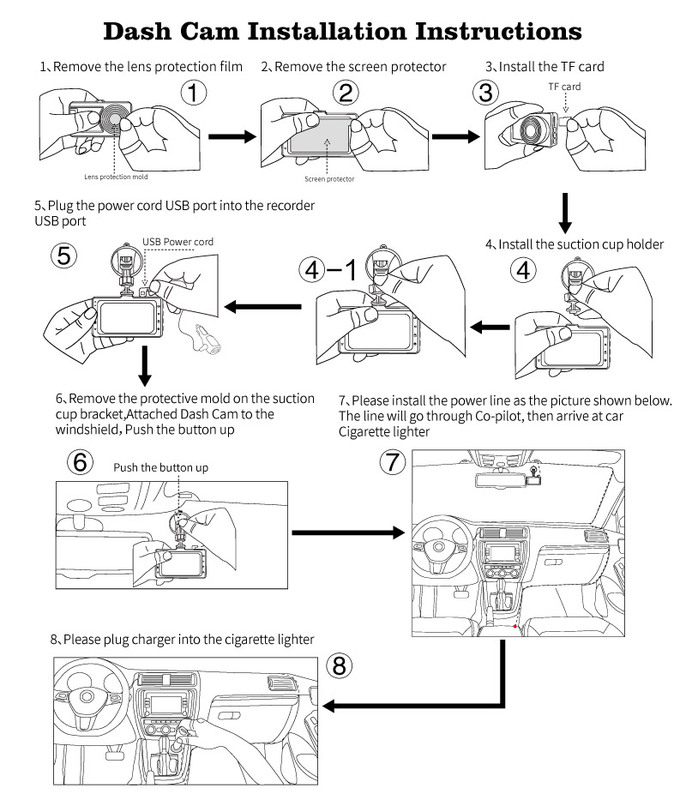 Q: Why my car dash camera have squeak or some other sound problem? 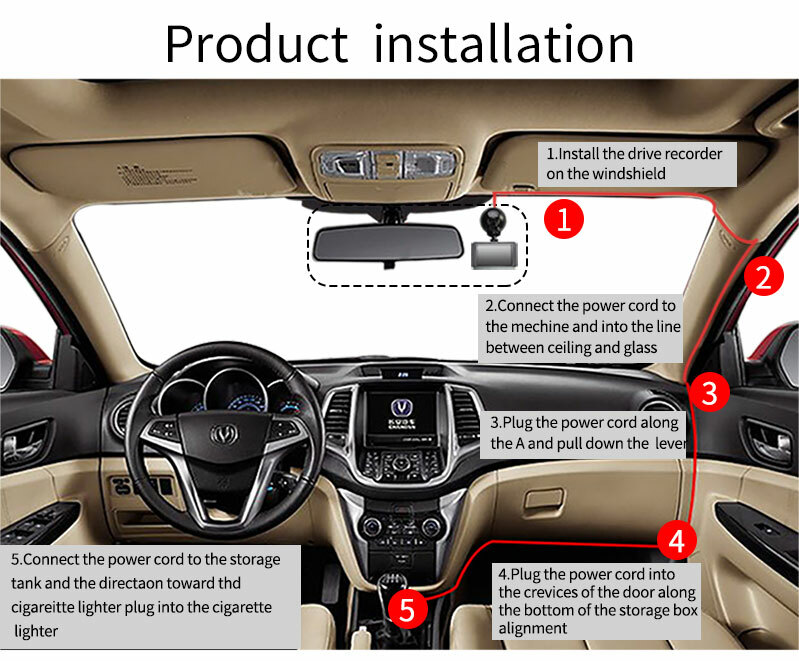 A: Normally if your car dvr camera have squeak sound that should be the inside electricity current not fitable, please check if you use usb cable connect computer or some home charger adapter do recharging on this dash cam, it is not ok, because this car dvr camera can only be recharged with car charger, usb cable can not transfer enough electricity current. 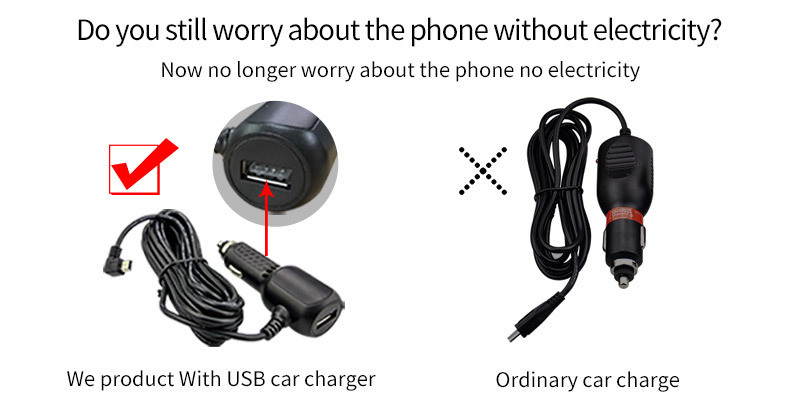 Please use our original car charger inside your car to do recharge. Q: Why my car dvr camera auto on & off continuously? A: Please check first if your car dash camera MENU settings open on Parking Monitor and G-Sensor this 2 function already? Normally if Parking Monitor is on the car dvr will go to Parking Monitor mode, in this mode status, car dash cam will auto on once detect any touch or shake, then if will auto off if while no touch. So it will auto on & off continuously. G-Sensor this function also will lock this status video file to avoid no overwrite then it can keep as Parking evidence. Please turn off this 2 function in car dash camera MENU settings then try again. At the same time, please turn off Motion Detect this function in car dash camera MENU settings also, because if Motion Detect is on, it will auto go to recording once have any movement in front. 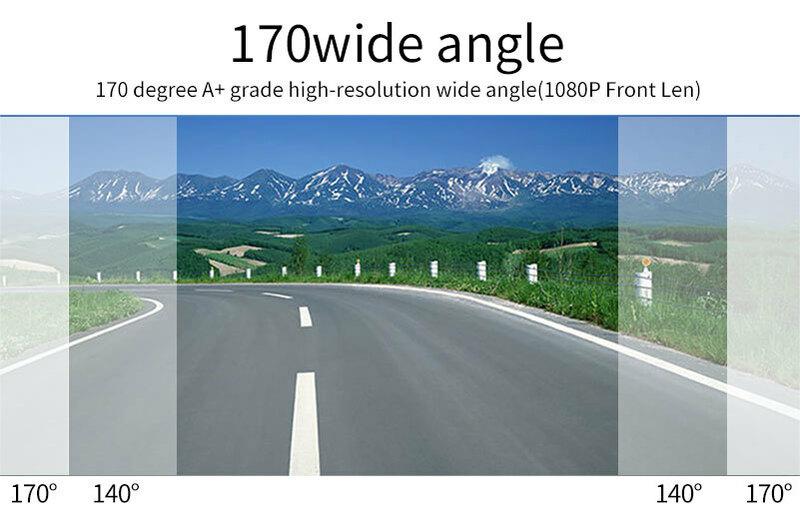 Q: Why my car dash camera card can not be read ? 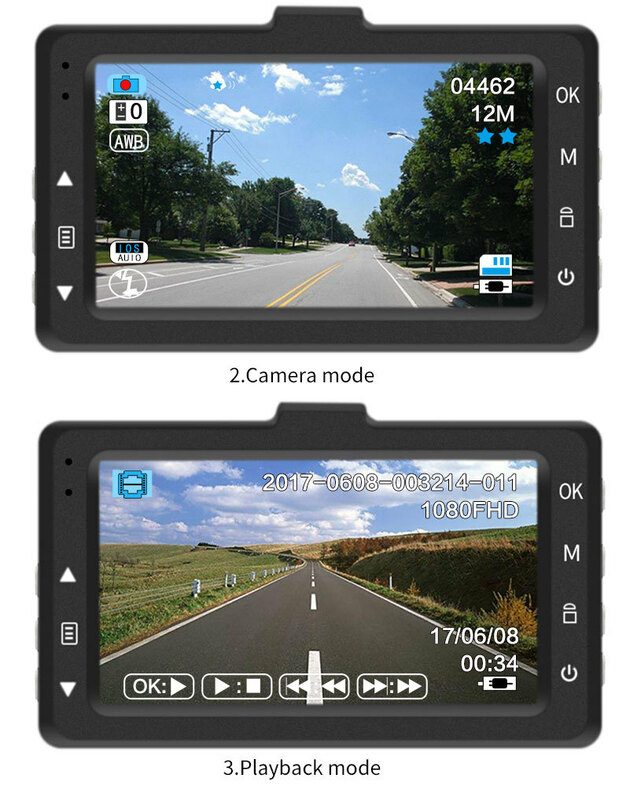 A: Please check if your memory card is original brand high speed Class 10 memory card, if you car dvr camera use some copy card like Class 4 or Class 6, it will indicate SD card full because the dash cam is not compatible. 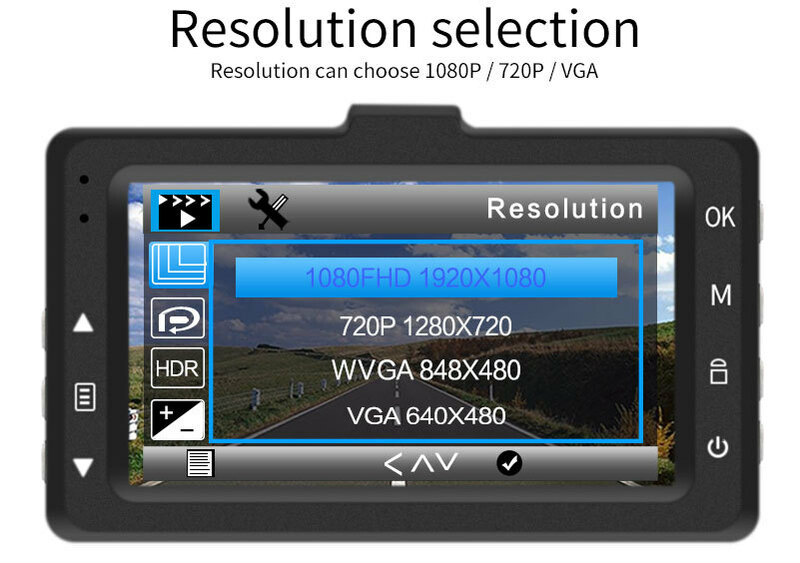 Please check if your memory card is 8GB,16GB or 32GB, this car DVR camera max support only 32GB card, it can not read 64GB card. Q: Why my car dash cam always freeze while recording? A: Please check if your memory card is original brand high speed Class 10 memory card, if you car dash camera use some copy card like Class 4 or Class 6, it will indicate SD card, full because the car dvr is not compatible will happen freeze while recording.Whatever SD card is empty or not,you must format the card at the first time in car dvr MENU settings instead of formatting it on computer,after formatting you can start the car dash cam to do recording. 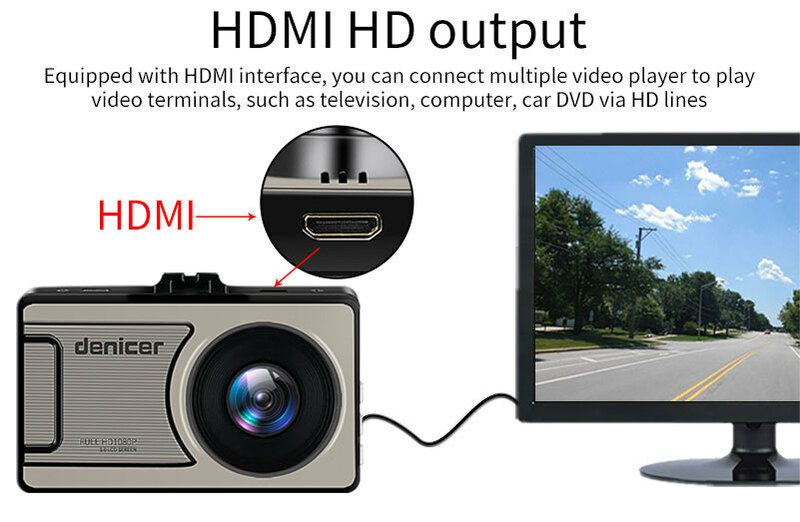 Q: Why my car dvr camera can last working maybe only around 2~3 minutes ? 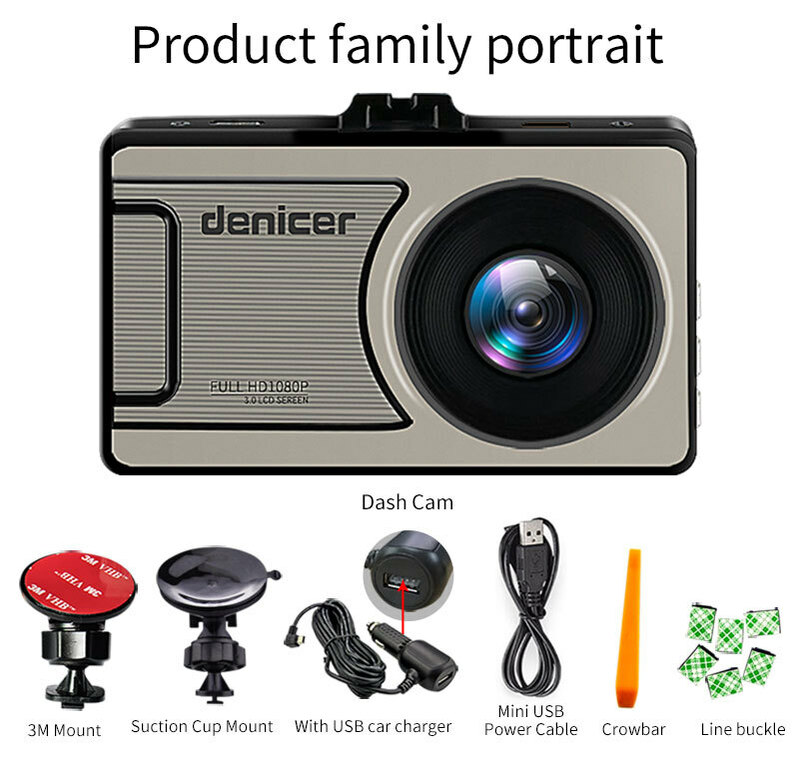 A: Because this dashcam is use for car, when car dvr is be designed, inside only have a very small space put for battery, most car dvr inside battery very very small size, then you can know the battery capacity very small, normally you have to recharge the car dash camera with your car charger to make it working properly. If no recharging, it can only last working around 2~3 minutes. 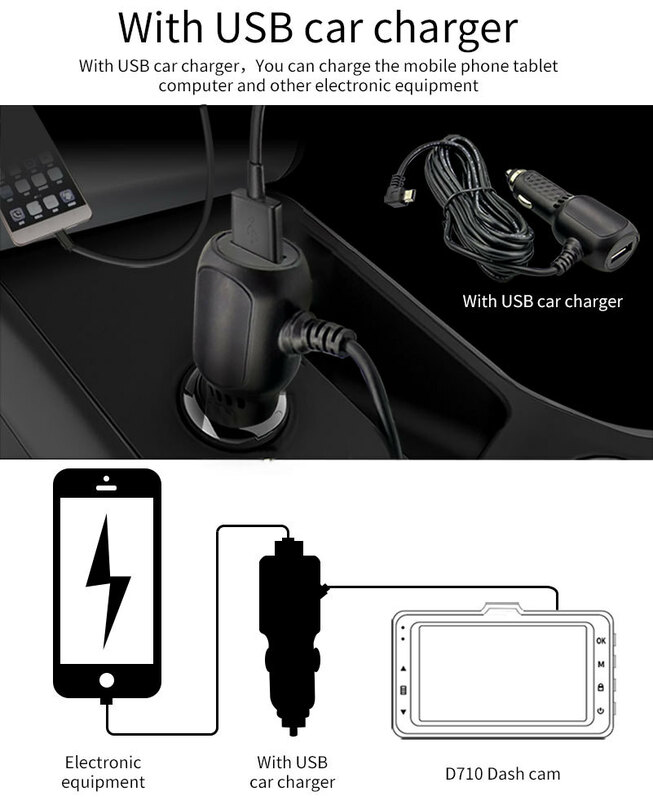 Please note that you must use the original car charger in the product package, If you use other charger causing the car dash cam stop work, we do not bear any responsibility, please understand.